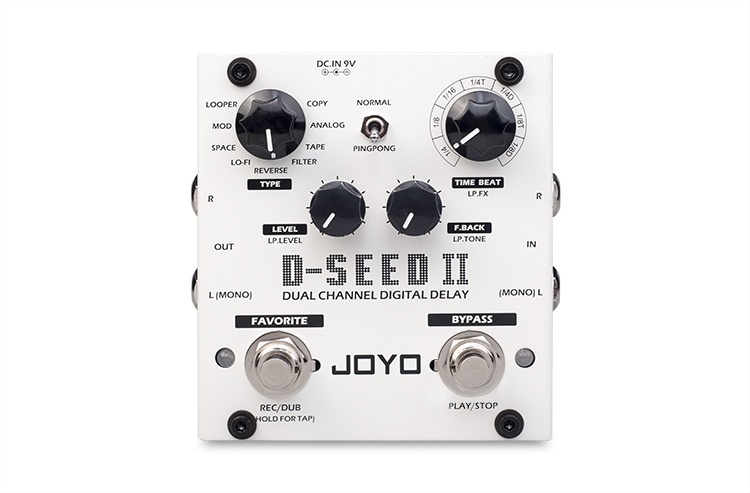 D-Seed II, Delay / écho pour guitare de la marque Joyo. •Stereo input and Stereo output. 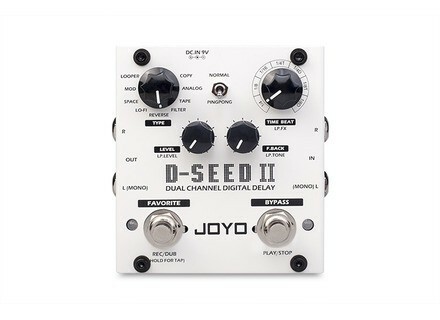 •8 delay modes, supports a maximum of 2000ms delay time. •Controllers: Type, Time beat or Looper.FX, Level, F.back or Looper.Tone, PingPong toggle, Favorite or REC/DUB, Bypass or PLAY/STOP. •Features LOOPER function, tape recording simulation effect can be added as for playback. •Set TAP TEMPO with one foot. •Pingpong modes are available for each delay effect, offering optimum stereo effects. •Features Favorite function, you can save one of your favorite tones.